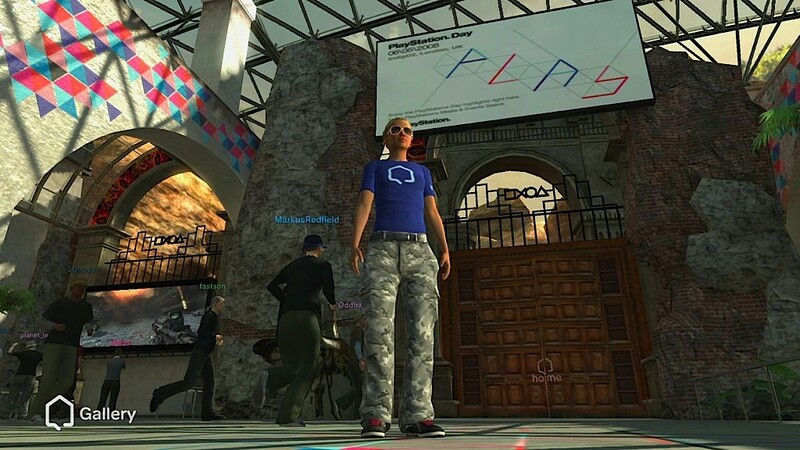 PlayStation Home, Sony's answer to the Second Life question no one asked, was never where the company's heart lived. Maybe its greasy, suppurating id lived in those gleaming neon halls, somewhere between the bowling alley full of dead-eyed polygon people and the virtual shopping mall. You know the PlayStation Home shopping mall I'm talking about. It's the one where you could spend very real money on an entirely fake golden statue of a robot lady with impossibly proportioned breasts. After seven years, the majority of which were spent in beta testing, Sony closed Home's doors this week. The PlayStation heart is secure elsewhere, for sure, but the shuttering of Home does mark the conclusion of an experiment true to the PlayStation soul, as well as the end of the brand's darkest era. Sony Computer Entertainment is buying the remaining patents and assets belonging to OnLive, the cloud-computing service that some might say was ahead of its time. OnLive as a service will shut down on April 30th and the company won't collect any more subscription fees. On April 30th, all OnLive player data will be deleted, though any Steam games purchased through the service will continue to reside on Steam. 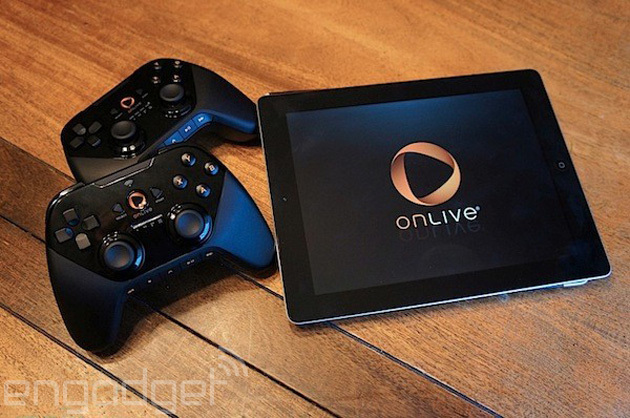 "It is with great sadness that we must bring the OnLive Game Service to a close," OnLive writes. "Sony is acquiring important parts of OnLive, and their plans don't include a continuation of the game service in its current form." PlayStation Vita owners eligible in the class action lawsuit brought against Sony for deceptive advertising of its handheld have received instructions on how to collect cash, PlayStation Store credit, or free games. Polygon reports anyone that purchased a PS Vita in the US prior to June 2012 qualifies for a piece of the settlement. Emails were sent out last night to potentially eligible members, with lawyers for the suit steering individuals tovitaclaims.com. To collect any compensation, claimants must complete the online form by June 29th, as well as enter the serial number on their Vita to verify when it was purchased. The action adventure bundle ($92.95): God of War Collection, Beyond: Two Souls, Twisted Metal for PS3 and Unit 13 for Vita. The "family friendly" bundle ($100.46): LittleBigPlanet 2 and Puppeteer on PS3 with Uncharted: Golden Abyss and ModNation Racers: Road Trip on the Vita. The variety pack ($66.46): God of War Collection and LittleBigPlanet 2 on PS3 with ModNation Racers: Road Trip and Unit 13 on Vita. The form doesn’t mention when these awards are to be sent out, but similar suits in the past have taken up to six months to arrive. From Software and Sony’s PS4 exclusive action RPG Bloodborne was the best-selling PS4 game on PSN in March. That was the case is both Europe and the US. Miyazaki’s game achieved the crown despite only being available for eight days of the month in the US, seven days in Europe and five days in the UK. The sales bumped EA’s Battlefield Hardline into second place, which was released a week earlier. It’s a different story in the physical UK charts, where (the of course multiformat) Battlefield Hardline has resolutely topped the charts since its launch. Bloodborne debuted at No.2 on its release week. Xbox One and PS4 are retailing for well below £300, as the price war between the consoles continues. Xbox announced last week that UK retailers would be lowering the cost of its console to £299.99 but some stores have gone even lower - GameStop is selling the system for under £280. Last week, the average selling price of Xbox One was the lowest it has ever been. PS4 offers have included bundles with The Order and Bloodborne at retailers such as Argos, GAME and GameStop. The latter is running a temporary promotion that includes a PS4 and Bloodborne for under £290. The price war appears to be working, with over 350,000 PS4 and Xbox One consoles sold in the UK so far this year. Data courtesy of UK retailers quoting GfK Chart-Track figures. 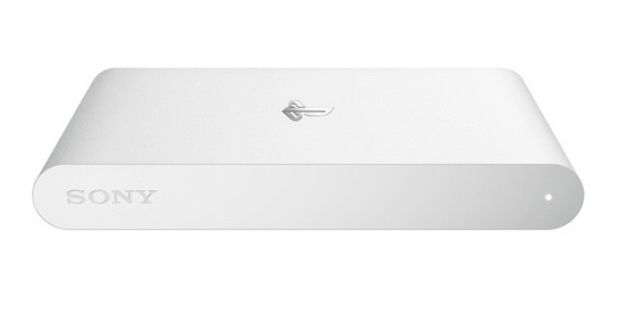 How would you change Sony's PlayStation Vita TV? It's a PlayStation Vita that you can connect to your TV, but that doesn't mean you should automatically go out and buy one. When we reviewed the hardware last year, we found that the low price and ability to play retro games were great, but the media streaming let the side down. That said, it was a much better crafted piece of hardware than some Android-powered consoles our reviewer could have mentioned. So, what we want to know is do you like your Vita TV and if so, why? Hop over into our forumand share the love, the hatred and everything in between. Sony could be on the cusp of announcing a third iteration of its Vita handheld. As spotted by NeoGaf, a trademark apparently filed by Sony Computer Entertainment on April 1st (yes, we know) for a “controller for portable LCD screen game machine” shows what very much appears to be a new iteration of the Vita. Firm details are non-existent beyond the pictures included in the patent. Some of the more optimistic onlookers have pointed to some of the dotted lines seen in the image below in the hope that they may represent the inclusion of L2 and R2 buttons – which would be a dream come true for those who use the device to Remote Play their PS4 games. It also looks as if the unit might include an HDMI port (presumably for video out), suggesting it may also function as a pseudo replacement for the troubled PlayStation TV. Going by the forums, the most commonly requested new features include an SD Card (probably Micro) port instead of Sony’s proprietary Vita memory cards, improved battery life and the re-introduction of an OLED screen. The first version of the Vita did included an OLED screen, but Sony ditched it in favour of a cheaper LCD screen for 2013’s Vita Slim. So, does this mark the beginning of the pre-E3 silly season? UPDATE: Argos is offering the same £289.99 deal as GAME. Sony has seemingly reacted to the recent Xbox One price cut by reducing the PS4’s UK price yet further. As spotted by GameSpot, a number of retailers are currently offering the machine for under £290. Tesco, Amazon and Argos are all offering vanilla PS4 consoles for £289.99, while GAME and Argos throws in a copy of Minecraft for the same price. Sony itself has even promoted a new price of £299.99, which it says will run until April 28th. Until recently PS4 had been selling full price for around £330, which is already £20 short of its official £350 RRP. Last week the price of the Xbox One was cut to £299.99 in what was described as a retail-led promotion. MCV last week revealed that both machines can readily be found for far below their RRP across UK retail as the pair’s average UK selling price continues to fall. Ape Escape: On the Loose works with up to Firmware 3.50. It does NOT work on 3.51 (or newer). This little demonstration just shows how to launch the TN-V11 eCFW (by Total_Noob) with Ape Escape: On the Loose, if you decide to stay on 3.50, then you can use Ape Escape: On the Loose for the exploit. If you like to play games with tricks, you need this plugin.Hand ofWeltall we get CWCheat in its latest version with some improvements and bug fixes over previous. The author said he would not do more versions, but seems to be encouraged and here we have the plugin compatible with PSP Slim and the CF 4.01 M33, with a menu translated into Spanish. Includes anticipated by many functions: Read game guides such as playing them. This game is anadaptation for PSP developed by Deniska classic Bermuda Syndrome , a game puzzle action adventure 2D PC , where we take the role of a pilot in WWII called Jack Thompson who, shot down by a fighter German, going through a sort of dimensional portal to a parallel world and ends up crashing into a prehistoric landthat is inhabited by humans and dinosaurs . Theteam PRO gives us a pleasant surprise to all holders of PSVITA because they have decided to make public its CEF, better known as the eCFW ARK . This CEF ARK has many enhancements and features outstanding on it CEF TN. New emulator for our portable console.Without any doubt, it isthe software that best emulates the Neo Geo Pocket (NGP) and Neo Geo Pocket Color (NGPC) console of all we have in PSP. A breakthrough, gets run all ROM's of this console, a whole factory of fun. Total Noob returns to the scene with the CEF ( Custom Emulator Firmware ) and is such that it just read, this is aCustom Firmware for VITA console that allows you to run ISO / CSO on our consoles PSVITA , which clarified that no native is a Custom Firmware on PSVITA, is found in the PSP emulator PSVITA. In thisfourth adventure of bold purple rabbit with boxing gloves, Sqrxz has obtained a new job to support his family and sent to an icy polar island where should recolectar a glass spheres , however this will not be an easy task, since the island is inhabited by evil penguins, ghosts, bats, sea creatures, among many other dangerous species and deadly traps . gdljjrod member of our community presents his latest creation: ONEMenu , which is an application developed with the new interpreter ONElua , allowing us to execute our homebrews, ISOS / CSO and PS1 games from a graphical interface which although simple, is very practical, functional and above all enjoyable. It can also be used asalternative menu for eCFW ARK on PSVita . If we recently reached an upgradedPort for "Quake" , now it's the turn of one of the most popular mods , the"Arena" to "Quake I" , using the same libraries OpenGL that id Softwareincluded in his latest (and perfect) commercial version. This Mod is designed entirely to play in infrastructure , like the original "Quake III: Arena". Quartal is a game in first person puzzle based on the popular game from Valve, "Portal"in which we must solve a series of rooms or rooms of scientific evidence with the help of a generator portals weapon with which we can teleport from one place to another . With pleasure I present this plugin created by user name and member of Staffgdljjrod , you will be very useful if you have two custom firmware on your PSP : CFW ME (LME) and the CFW PRO. Since you can activate your requieras plugins to work alone in it CFW PRO or he CFW ME ( LME ). Rockbot is a gamebased 2D platform game Megaman , like Megaman at each level must defeat a boss and thus get the weapon or ability of the head. The game is very well developed, has 8-bit graphics and sounds according acclimated to the game. Zelda Navi's Quest is the fourth title in the series of games developed by Vincent Jouillat based on "The Legend of Zelda: A Link to the Past" . In Zelda Navi's Quest , whose port to PSP has been developed by suloku , Linkembarks on a new adventure in search of the mythical "Island of the Fairies" where he meets his great colleague and friend, the little fairy "Navi" . You are someone who you likemodify and customize your XMB: Change the Font, sounds and waves from other files on your PSP . We know of the existence of CXMB themes CTF but they do not like you at all , then this great plugin: ZeroVSH Patcher , You can give a more personal touch and your taste to use it and it is best to NOT PLAYING FLASH0 . So can incorporate certain files on the Memory Stick without loading them directly to theFlash0 and the best is yet it is not necessary to have the CXMB installed. If you liked before the ZeroRCO Patcher , now with this new pluginyou can enjoy your Moddings without running any risk . Zelda Time to Triumph is the third game of the saga of Zelda Return of the HylianDeveloped by Vincent Jouillat and ported to PSP rspyke (Randall Spychalla) . Ganon the King of Darkness emerges from the depths of hell with great strength and powers renewed, determined to lead his army once more in order to invade Kingdom of Hyrule . Recently Habib released an Open Beta of 4.70 Habib v.1.02 to received some feedback on the PS2 Emulator Patch he and Joonie had been working on He has since announced in recent days that there has been no issues and that the beta build is the official release. So if you already had installed the Open Beta there is no need update the firmware. Today we have seenmany custom firmware , although there was little difference in size between them. Well, today we present another, but does not look like any previously known , but is much closer to the true custom firmware (those who know the PSP Scene know what I mean). Ie possibility to modify a lot options to your likingand always with the advantages of homebrew and backups . Who does not have itwarmed never PS3 ? I think most of us have suffered from overheating console, in many cases, believe it or not causes irreversible damage , such as the famous yellow light . Today I bring the solution, or at least an attempt to address these shortcomings in users with CFW will allow us to establish full control over the fan of our bold and can increase the speed of the fan in the event that our console has a high temperature . In the world of Scene PlayStation 3 all have our favorite launcher and in fact always end encariñandonos with him because we never left lying at the time of loading a Backup or the functions , views, simplicity , etc. This time a more launcher joins the well-known family of these we have in the community PS3 , hoping to keep improving and adapting to the needs of the most demanding users, note that this Launcer is based on the now famous Iris Manager . Developer FouadtjuhMaster has updated his homebrew remake of Duck Hunt for the PSP! Originally released by @Scionsamurai, the now-revived game features a new game mode and some other improvements. If you're into PSP homebrew, check it out by following the link below! One of the last biggest selling features of the PlayStation Vita is the 'Remote Play' being able to play new hits like Bloodborne from your PS4 on your handheld, and Sony been slow in expanding the 'Remote Play' feature allowing it now only on their PSTV (VitaTV) console, and certain costly Xperia smartphone devices. But recently, Twisted89 has made amazing progress on porting the Sony's exclusive Xperia app over to basically almost any other generic Android device, and even tho we reported on this before, the recent v1.2 updates make this port well worth trying out now. - Miscellaneous debugger bug fixes and tweaks. - NES: Altered mapper 185 emulation to fix all known commercially-released mapper 185 games that were previously non-working. - PCE: Fixed a VRAM DMA emulation bug introduced around 0.9.16-WIP that broke some homebrew software. - PS1: Improved GPU texture cache emulation; fixes menu graphical glitches in "Tigershark". - SNES: Fixed a bug that was breaking input after triggering a virtual Reset/Power Toggle event when a non-gamepad controller(e.g. mouse) is currently selected for a port. All six games are available in both the U.S. and Europe. As of the time of writing, P.T is still available to download on the PlayStation Store but that hasn’t stopped some canny Ebay Sellers from trying to make a quick buck. For as little as one thousand pounds, you can get a PS4 complete with the playable teaser for Kojima and Del Toro’s ill-fated Silent Hills. P.T can currently still be found in the demos section of the PlayStation Store but it’s meant to officially be removed at some point today. It's also still unclear if making the demo unavailable to new people will prevent those who had it re-downloading it from their library. The description from one particular seller states; “This listing is to prove that people will pay stupid money for stupid things. Help me fund another PlayStation and buy this joke of an auction.” They are selling the PS4, complete with P.T, camera, extra controller and game for a mere £3100. Other sellers are in the region of £1000 and each include a copy of the game installed on the hard drive. Hopefully they realise that they’ll have to sell their PSN log in as well as PS4 if anyone else wants the game to run properly. Hopefully no one buys one to find out. Sony has now sold more than 22.3m PlayStation 4 consoles worldwide since the platform launched in November 2013. That translates to around 44.6k PS4s sold per day, every day, since then (around one every two seconds).Sony shifted 14.8m PS4 units during the 12 months ending 31st March 2015, according to the company's latest financial report.Sony expects to sell another 16m before 31st March 2016.But the company's handheld sales have continued to falter. Combined numbers for PSP and Vita (Sony does not break each platform out) show a drop from 4.1m to 3.3m units over the same 12 month period.Sony's gaming division is now the company's biggest money-spinner in terms of revenue, up by a third year-on-year to $11.5bn (£7.4bn). "This significant improvement was primarily due to the impact of the above-mentioned increase in (PS4) sales," the report detailed. "(This was) partially offset by the impact of the decrease in PS3 software sales, the unfavourable impact of the appreciation of the US dollar reflecting the high ratio of US dollar-denominated costs, as well as the recording of an 11.2bn ($93m) write-down of PS Vita and PS TV components in the current fiscal year." Guests online: 550. Total online: 551.